The Arts House has set out the sequence of events leading to the cancellation of the launch of a children's book on its premises, contradicting what the publisher claimed had happened. The book, The Phantom Of Oxley Castle, was supposed to have been launched on Saturday. Its title and storyline bring to mind the 38, Oxley Road saga and Lee family feud. On Sunday, Mr Edmund Wee, chief executive of Epigram Books, told The Straits Times that The Arts House had informed him on the phone over the weekend that it "did not want the book launch to take place on its premises". Asked about it later in the day, an Arts House spokesman said the final decision to cancel or postpone the event was made by Epigram Books. In a statement yesterday, The Arts House said it was approached by Epigram Books in September on the launch of Dream Island - The Mad, Mad World Of Philip Yeo. This launch had a charity component to it. Last month, Epigram Books suggested expanding the launch to two books, and included The Phantom Of Oxley Castle. The Arts House agreed. Over the weekend, it told Epigram Books there had been "online media chatter" about The Phantom of Oxley Castle. It "highlighted that this development might have implications on the launch of Dream Island, which had been the original book (it) had been approached about, as well as its charity component". These steps were taken as part of its "usual process to engage in open dialogue" with venue users, it said. It added: "At no point did The Arts House inform Epigram Books that we did not want the book launch to take place on our premises." Epigram Books decided to cancel the launch of the Oxley Castle book to focus on Dream Island, said The Arts House's statement, adding that the publisher communicated its decision on Facebook. The Arts House said Epigram Books had reiterated to it yesterday morning that it had conveyed the reason for the cancellation to the media. 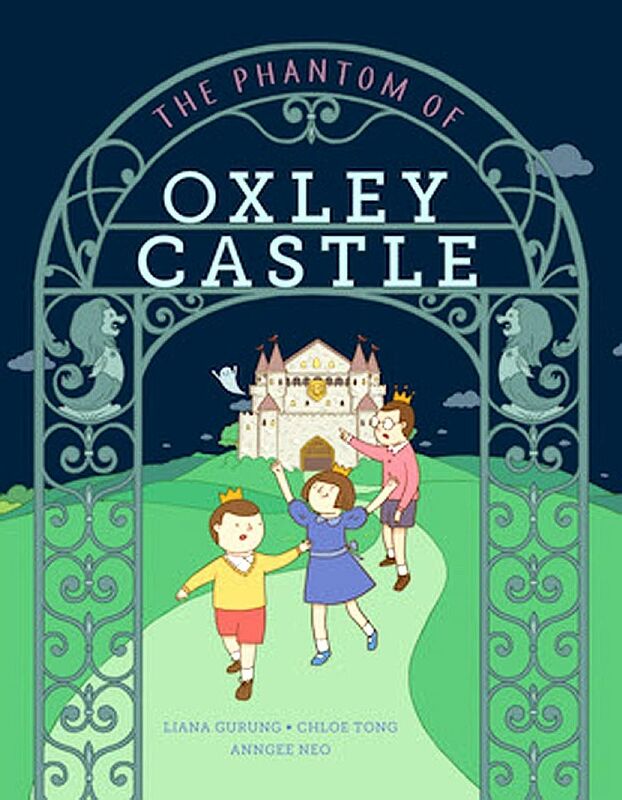 The Oxley Castle book is about a grand castle with 38 rooms, on a tropical island, where two young princes, a princess and their pesky butler named OB Markus live. Earlier this year, a dispute broke out between Prime Minister Lee Hsien Loong and his two siblings, Dr Lee Wei Ling and Mr Lee Hsien Yang, over the fate of their family home at 38, Oxley Road. Asked about The Arts House's statement, Mr Wee told The Straits Times yesterday: "I'm prepared to accept that there was a misunderstanding between The Arts House and me." He declined to comment further. In a statement earlier in the day, Epigram Books also said it "has not received any letter of any kind" from the Prime Minister's Office or any individuals. It has taken legal advice on the book's publication, and the launch event has been postponed until further notice. It said it will continue to take orders, but the delivery of the books will be confirmed at a later date. In another development, online portal The Online Citizen (TOC) said last night that it "apologises unreservedly" to PM Lee for saying he intended to sue the publisher and authors of the book for defamation. In a Facebook post on Sunday, TOC said at first that it heard the publisher and authors had been notified that PM Lee would be suing them. It later corrected the post to say the affected individuals were likely to receive a letter on Monday. Yesterday, TOC said it first heard of a possible defamation suit "through a third party" who had spoken to Mr Wee. When it called Mr Wee to check, he told TOC he had received nothing yet, but was told to expect it on Monday. It added that "this is the original source for the post made on Sunday evening". TOC added that it stood by how it was informed by the publisher of possible legal action, and "we have and will produce further evidence if the need to do so arises".